Discussion: Native to Europe, the ancient Greeks named this herb motherwort, meaning "mother's herb." It has traditionally been used for female support and to promote relaxation. 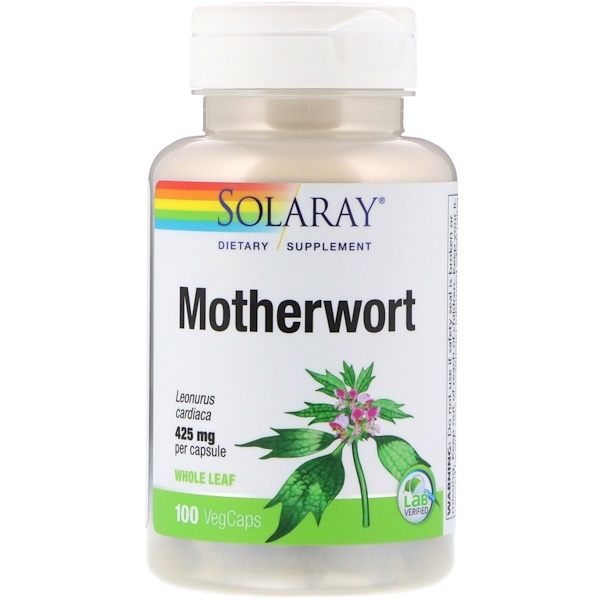 Recent research suggests that motherwort may also provide nutritive support for healthy cardiovascular function. Use only as directed. 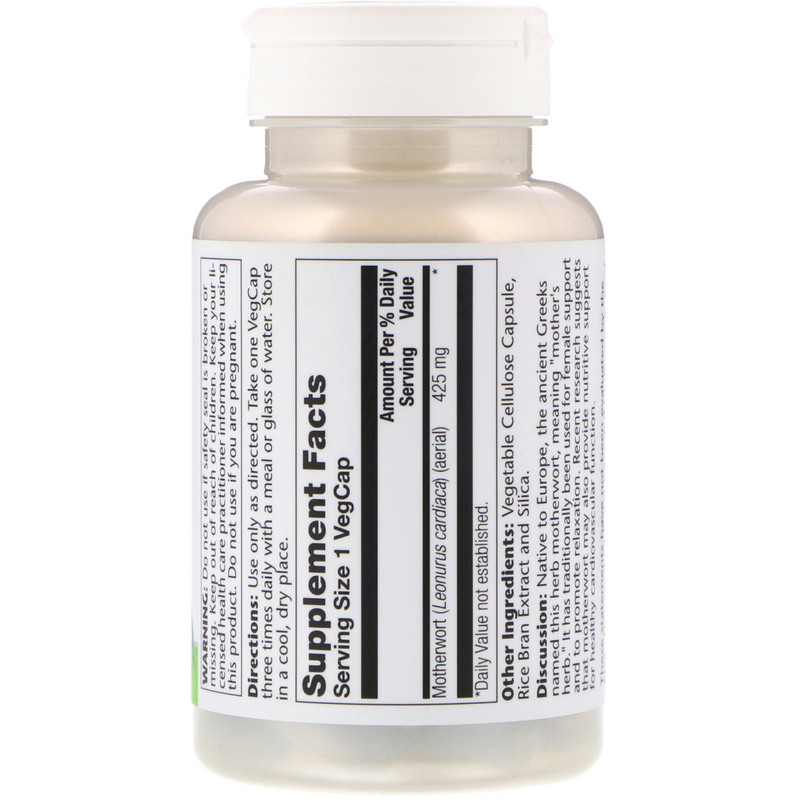 Take one VegCap three times daily with a meal or glass of water. Vegetable cellulose capsule, rice bran extract and silica. Do not use if safety seal is broken or missing. Keep out of reach of children. Keep your licensed health care practitioner informed when using this product. Do not use if you are pregnant. California Residents Only: This product contains a substance known to the State of California to cause birth defects or other reproductive harm.